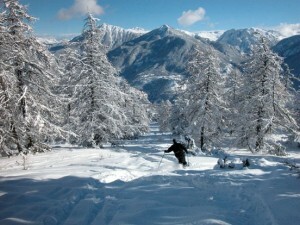 Serre Che (as you’ll be calling it by mid December ) consists of 250km of pistes over 4 areas with 13 villages ! its a big area and offers tons of great skiing/boarding with some superb snow . 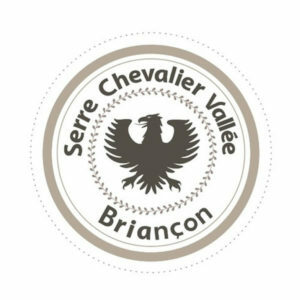 As Serre Chevalier faces mostly north and receives a lot of its weather from the south , with snow laden clouds heading up from the Provence , snow conditions can remain fantastic here for weeks on end between snowfalls and it is a brilliant place to base yourself for the season. This is quite a cosmopolitan resort so expect to be working alongside Dutch & French if you head for bar jobs , there are plenty of British tour ops here and quite a few smaller bespoke chalet companies. Skiing from 2800m down to 1200m you are not spoilt for a lot of vertical meters in a day here ! from the wide open pistes around the 4 main areas you will find life quite easy if you are just learning , and from there you can head onto some of the resorts stiffer runs .But one of the main draws are the great opportunities for off piste skiing here plus the “fun” parks of which there are 9 ! Serre Chevalier into the trees ! Cibout : get off the Cibout chairlift ride straight over to the trees , head straight down the slope on to piste de tabac , head across that then dive back into the trees , picking up the same piste later. L’Eychauda : vicious poma to the top but drop off the edge and onto the face then a sweet run down , rejoin the piste when you feel like it . The Cucamle : up the Balme lift up and the Cucamle is right in front of you. Ride over as far as you can then hike the rest ( probably 15/25 mins ). Drop in on the valley side ( towards town) as there are tons of rocks on the other side , you’ve been warned ! Ok so we are not talking a major nightlife scene here , but you are guaranteed some good times in this resort especially living here for the winter. Saloon bar ( Briancon ) is a lively spot for Apres ski and you get a real mix of seasonaires and tourists in here , can get a bit rowdy ! Gotcha ( Briancon ) is a krazee Dutch bar , head there if stomping around in your ski gear on the bar is your kind of après ski activity ! Rif Blanc ( monetier 1500 ) is a great place to chill and watch some sports on their big TVs/screens ! Baita ( Villeneuve ) late night club that can hit you in the pocket , but they do look after the seasonaires though and it is a banging night out .